Does it feel like you’re paying too much money each month to use the lighting in your commercial property? Lighting retrofits from a reputable electrician could make all the difference in the world. 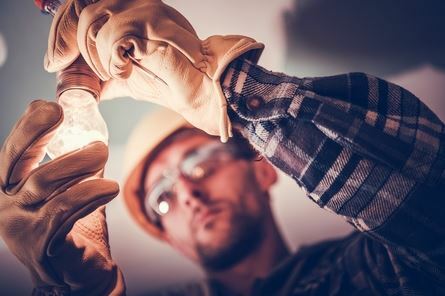 By replacing some of the components in your electrical system, you can cut down on the amount of energy you’re using to light up your business and save yourself money in the process. Check out some of the other benefits of lighting retrofits below. Lighting retrofits will provide better lighting for your business. Are you unhappy with the lighting in your business right now? It could be because of the poor quality of lighting that is currently installed. Lighting retrofits will offer you the chance to upgrade your lighting in a matter of just a day or so. You’ll be able to make life easier on yourself, your employees, and your customers or clients with your improved lighting. They’ll force you to do less lighting maintenance. If you have older lighting installed in your business, you probably have to replace bulbs and do other electrical work on a fairly routine basis. Nevertheless, with lighting retrofits, those things will be ancient history. Lighting retrofits will cut down on the maintenance you have to do to your lights and reduce the amount of money you spend on replacing bulbs every year. They’ll be a lot better for the environment. Most businesses today are making a push to become more eco-friendly. If that’s one of your goals, lighting retrofits will make it possible for you and your company to “go green.” Outside of trimming your energy costs every month, it’ll also show other people and businesses that you’re committed to running a responsible business that cares about the environment. Generally, lighting retrofits are a great idea for any business. Call Always on Electric at 970-309-2616 today to take advantage of our commercial electrical services.